There are several artists with this name. 1) An American-born Chinese rapper, Jin Au-Yeung. 2) Jin Berekelea (member of the moldavian experimental rock band Headswitch). 3) A solo project by Russian guitarist Eugene "Jin" Mischenko. 1) Jin The Emcee: A native of Miami, Florida, is the son of Chinese immigrants, and his parents own their own restaurant. Jin became interested in Hip Hop when he was in middle school and started battling his classmates in the cafeteria during lunch. 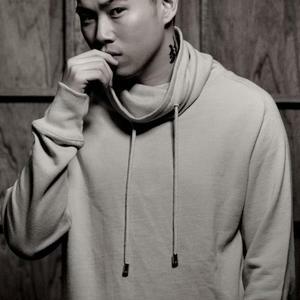 1) An American-born Chinese rapper, Jin Au-Yeung. 2) Jin Berekelea (member of the moldavian experimental rock band Headswitch). 3) A solo project by Russian guitarist Eugene "Jin" Mischenko. 1) Jin The Emcee: A native of Miami, Florida, is the son of Chinese immigrants, and his parents own their own restaurant. Jin became interested in Hip Hop when he was in middle school and started battling his classmates in the cafeteria during lunch. Jin emerged on the scene after winning consecutive emcee battles on 106 & Park's "Freestyle Friday", and after winning 7 weeks of battles; Ruff Ryders came to him and offered him a contract. He accepted and was then part of the Ruff Ryder family and his first album on the Ruff Ryder label. "The Rest is History" (2004) was Jin's rookie album and he released two singles "Learn Chinese" which was produced by Wyclef and "Senorita". On May 18, 2005 Jin released a song named "I Quit". The song was widely misunderstood because of its name. People thought that Jin had quit the rap game but he hasn't, as he stated that he went off to explore other things. Jin dropped his sophmore album "Jin Presents: The Emcee's Propaganda" on October 25, 2005, the album sold over 7,000 copies in its first week. The single off his second album was "Top 5" where he talked about who would be the top 5 greatest hip hop artists of all time. He also shot a video for "Top 5". Jin now goes by the name "The Emcee" and has dropped a new single called "FYI" featuring a fellow Asian rapper Yung Mac. In 2006 Jin will release 2 albums, one of which will be called "100 Grand Jin" with "FYI" as its single which he also shot a video for. Jin is also working on a project where he is planning on releasing a Cantonese album called "ABC Jin", where ABC stands for American Born Chinese. The album will be released internationally and "ABC Jin" will be rapped in all Cantonese. Jin's style of rapping consists of strong punchlines, and used this skill in the battles he won. His punchlines hardly ever uses metaphors that require much thought to decipher, and his bars are clean cut and powerful when used in battles. Such battles against Verse, Shells, RK, and his 106 & Park battles are great examples of his style of rapping and battling. 2) Jin Berekelea is a talented artist (member of the moldavian experimental rock band Headswitch), who also has a solo project. The musical genres Jin is active in are: Experimental / Ambient / Industrial. 3) Guitarist: Jin is a Russian magician of the guitar. By means of his music he will acquaint you with the world of melody, romanticism, speed, emotions, fantasy and feeling of flight. At the beginning of fall, the new debut album of a talented guitar player Eugene "Jin" Mischenko was released. ?Breaking the Sky?, the name of the album that symbolizes loud and fast appearance on the top of the music Olympus the new generation of the guitar masters. Eugene ?Jin? Mischenko, is one of the founders of last year's Miriada Project, that was one of the most talked about, and received a lot of positive reviews as well as in musical ideas and their execution. This year, Jin decided to give us his first solo album that promises to send its listeners into a 40 minute travel inside the world of melody, romance, anxiety, speed, emotions, and science fiction. During the recording of his debut solo album, practically all work was done by Jin himself? solos, riffs, bass, keyboards and drums. On some tracks, he used the help of the bass guitar player, Aleksandr Podoroga, known by his work in Miriada. Keyboard tracks and pianos were recorded by Aleksandr ?Wish? Andruhin. Riffs for the Phantom track were recorded by Anton Mironkin. Mixing and mastering were performed in Die Records Studio by one of the best sound engineers, Eugene Vinogradov (Catharsis, Butterfly Temple, Forgive-me-not). With his performance, Eugene Mischenko proves that instrumental music in Russia takes a new beginning, a new spin, a fresh breath. It's promising and essential. The album was released September 3rd, 2007 on Irond LTD.